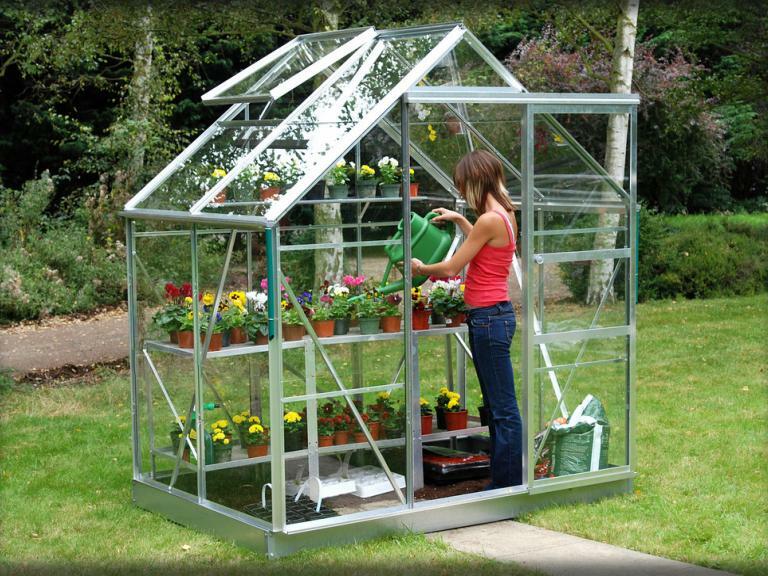 The Eden Monarch is a large greenhouse that allows you the flexibility to grow a variety of different plants. It also has enough space for a small table and chairs from where you can enjoy your greenhouse in comfort. One big advantage of the Monarch is that there is no door lip which makes it ideal for wheelchair and wheelbarrow access. The wide double-hinged door is also very high and can be opened from both sides. It can also be locked. The monarch has an integral base in either a mill or green finish which makes it easy to assemble. It has additional side and roof bracing for added strength. Ideal for those with limited space. 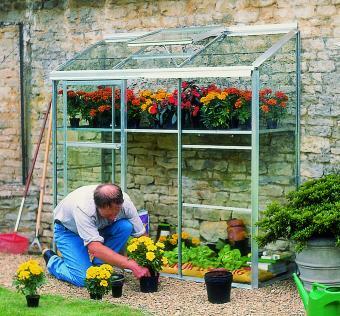 Though small, it can accommodate 6 tomato plants or two dozen seed trays with the integral staging installed. 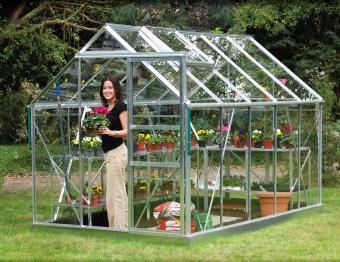 A strong little greenhouse with bracing in both the roof and sides for additional strength. The sliding door is supplied with a door handle as standard. We recommend using the optional galvanised steel base plinth as it provides an additional 12 cm of height as well as anchoring you greenhouse securely into the ground. To enquire about any of the green houses listed on this page, or if you'd like a different style, please call us or come on in!